Since 1988 we’ve had seven Batmen films, four Spidermen, three Iron Men, three X-Men, two Thors, and two Hulks. We’ve had Wolverines, Captain Americas, and Avengers, plus a Catwoman, and a Daredevil. We even had a Hancock. Whatever happened to Superman? On this there were several theories. Superman’s virtue made him too boring, his powers too awesome. His friends weren’t very interesting, nor were his enemies. His Kansas upbringing was too homely. His glasses too unbelievable. His underwear too ridiculous. And the 2006 reboot Superman Returns? A boring, nostalgia-driven anti-spectacle whose writers, though clearly Christopher Reeve fans, had apparently never read an actual Superman comic book – at least, not since 1960. My grandpa’s Superman may have leapt tall buildings, but mine flew at near-light speeds. His Clark Kent was a stuttering klutz; mine was a debonair professional. His Superman fought bank robbers, bandits, and runaway trains; mine fought brutal, multi-issue planet crushing brawls against Doomsday, Hank Henshaw and the Eradicator. His Superman was an incorruptible moral rampart; mine was an honest man doing his best given the profound moral implications of wielding insane power. Though for some stubborn reason, despite the many valid dimensions of the Superman character, only one dimension ever seemed to make it into past films. And whether real or imagined, super or mild-mannered, one dimensional characters are always boring. Ultimately, it was the dimension explored least on screen that was begging to be explored most: the stupefying level of superheroic violence of Superman’s comics. Not torture, but the simply unavoidable implications of what it would mean for Kryptonians to really, really fight here on Earth. Superman’s epic to-the-death brawl with Doomsday spanned the entire North American continent, leveled several cities, and filled seven issues. They bludgeoned each other into skyscrapers and knocked one another into space before ultimately collapsing in front of the Daily Planet. The story’s illustrations are among the most iconic ever produced by the medium, and the artists, including Dan Jurgens and Tom Grummett, were my true heroes as a child. You would think this type of hot action would get Hollywood very excited indeed. And yet, movies kept insisting on Superman “fighting” Lex Luthor (an evil but otherwise measly human) and kryptonite. It bears repeating: Hollywood has traditionally depicted the most powerful being of all time fighting an obese man and a rock. It’s astounding. Enter Man of Steel. At long last, the Superman movie you’ve always wanted to see but never thought would actually get made: Superman fights a supervillain, punch-for-earth-shattering-punch. But while fans of Superman comics are raving, the movie has received middling reviews, criticized for being too violent, too dark, and without enough of either Lois Lane or romance. First, the violence — as overblown as it might be, it is wholly justified by the source material, the comics, and something fans like me have dreamed of watching come alive on the big screen since forever. It’s awesome. Second, the romance — while critics mostly fawned over the portrayal of young Clark Kent as child terrified of his flickering and uncontrollable powers, they we’re very unhappy that this humiliated introvert doesn’t grow into Supercasanova. Thankfully, Snyder resists this campy temptation, and instead gives us one perfectly respectable kiss (Superman’s first, for all we know) with Lois Lane. This reboot is clearly going to inspire a sequel and likely a third installment, giving us plenty of time to explore that component of the Superman story. Third, the darkness — Superman’s costume is literally darker than many expect and, somehow, more believable as a result. Finally, back to the violence. I’ve read several objections over the end of the film, which depicts Superman killing General Zod in order to save some humans Zod was about to kill in a kill-him-or-they-die moment. This drew rather pointed criticism a-la the Superman-never-kills argument. Not to get too dorky on this subject (which means I’m about to), but we must defer to the comics for what Superman would-and-would-not do. And what do the comics say? Superman’s no-kill rule originates from the bottomless anguish he felt after having killed…General Zod & Co. on the pretext that they were too evil and powerful to be taken alive. The greatest critique I can level at the Man of Steel is twofold. 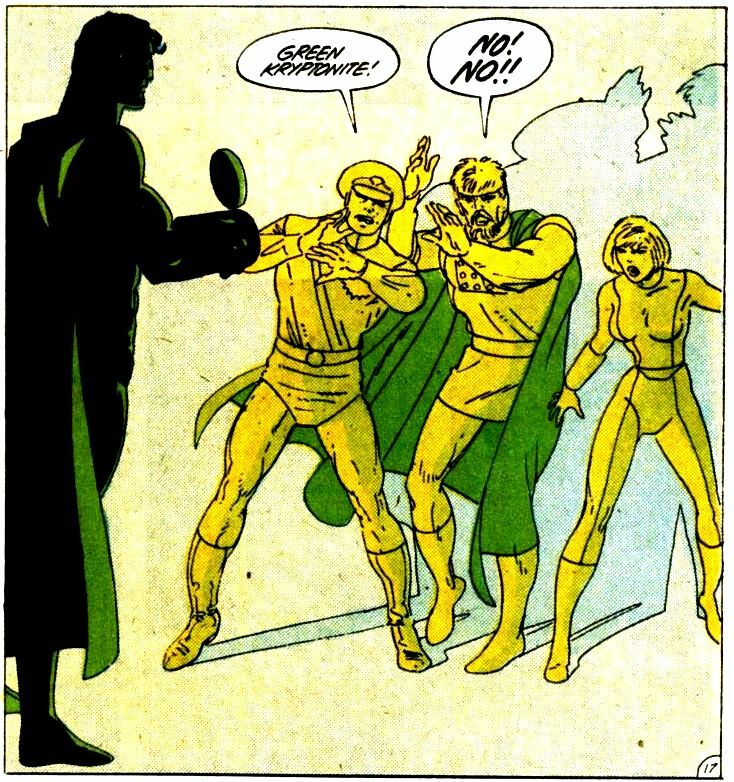 One, (fine) Superman didn’t spend enough time saving people from Zod’s havoc, and two, killing Zod appeared to traumatize Superman for approximately 8 seconds following the act, rather than the truly tortured moment of Superman’s life represented in the comics. But following the utter triumph that the movie otherwise is, I have every reason to believe that not only do Snyder and Nolan recognize the guilt Superman must eventually feel, but also how to best use that deepening of the character to fly the inevitable sequel(s) to even greater heights.